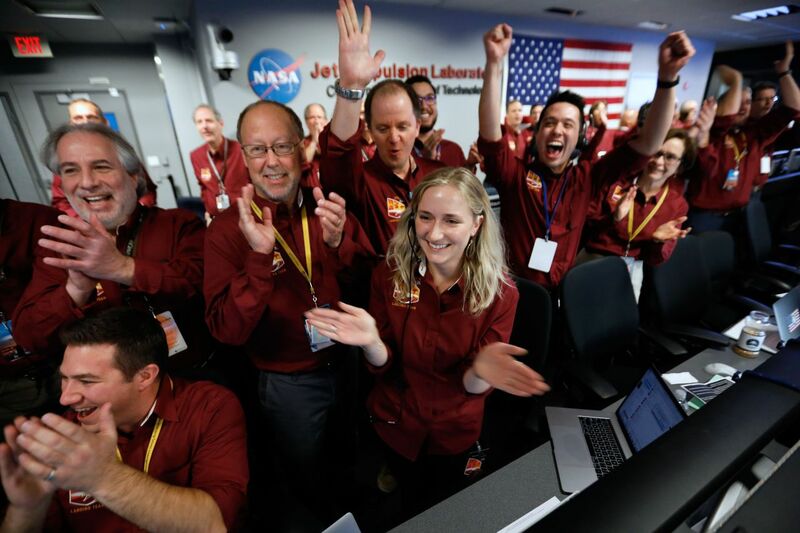 Jubilant NASA engineers cheered Monday as the $828 million InSight lander signaled a safe landing on Mars, where it will take the pulse of the Red Planet by monitoring seismic waves from quakes and meteor strikes. A dust-speckled image of the Martian plain, blurred by a lens cap, transmitted from the spacecraft was the first direct indication that it had touched down successfully. As a safety measure, two tiny experimental CubeSat spacecraft called MarCO that followed InSight to Mars also relayed its landing data to Earth.